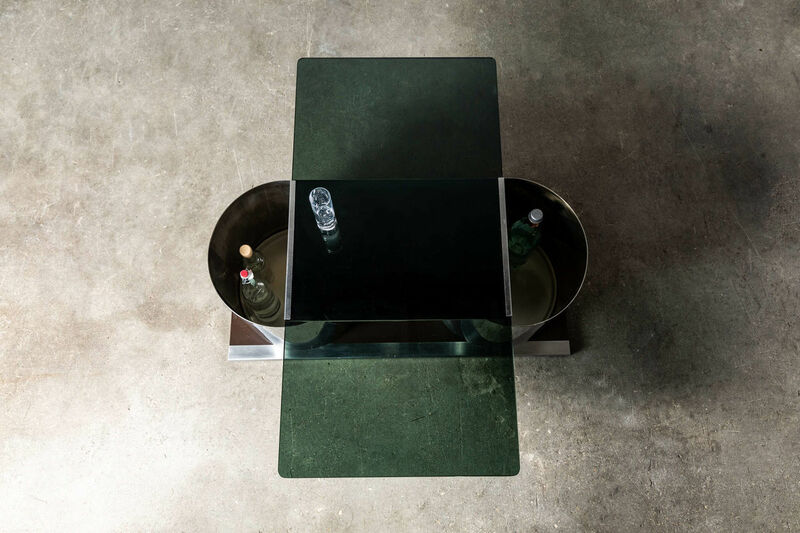 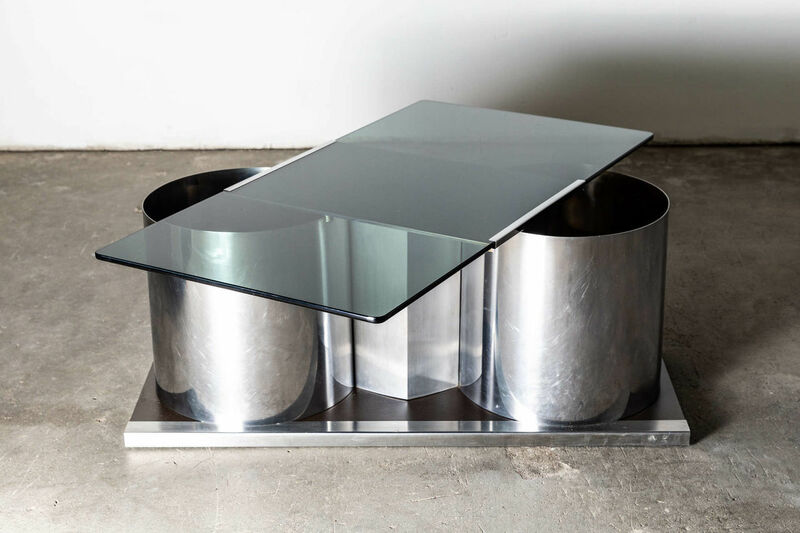 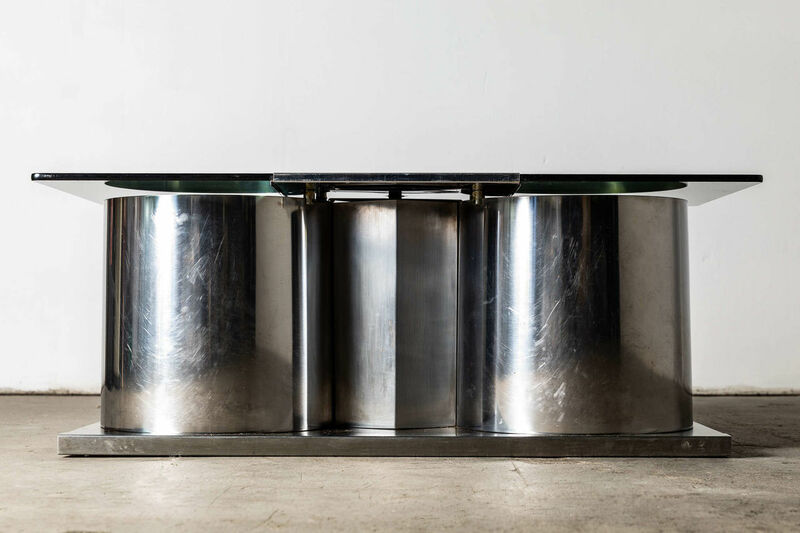 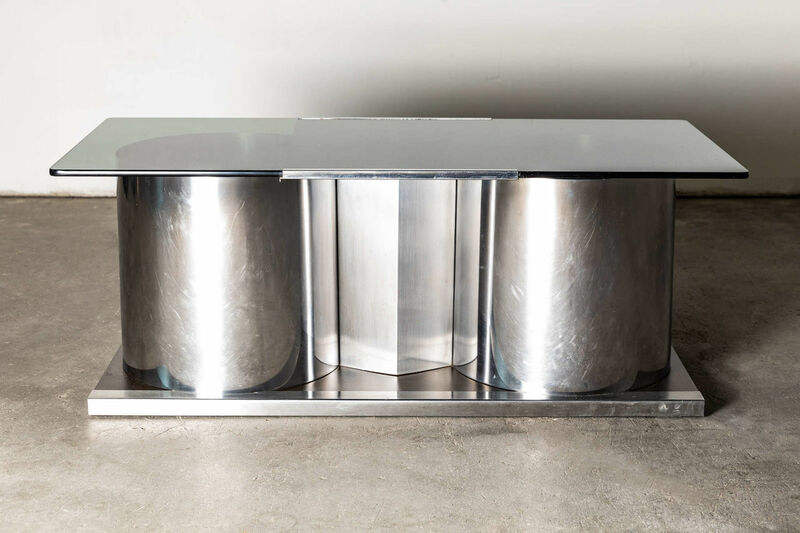 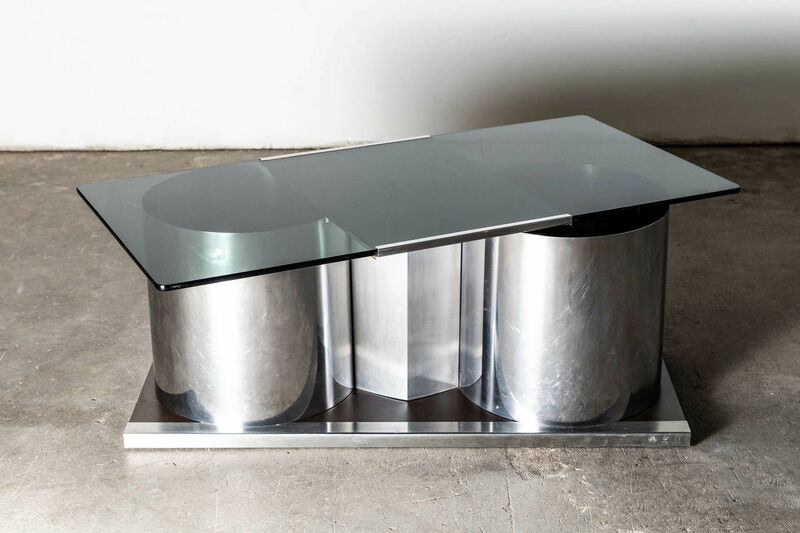 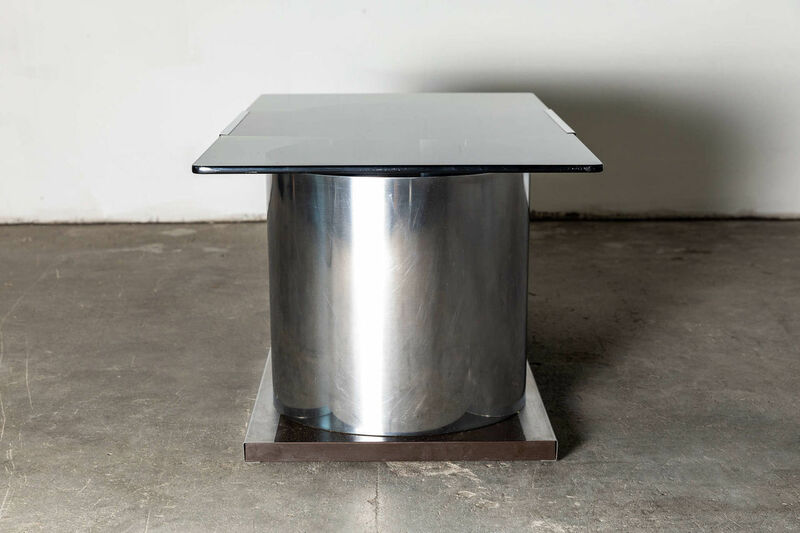 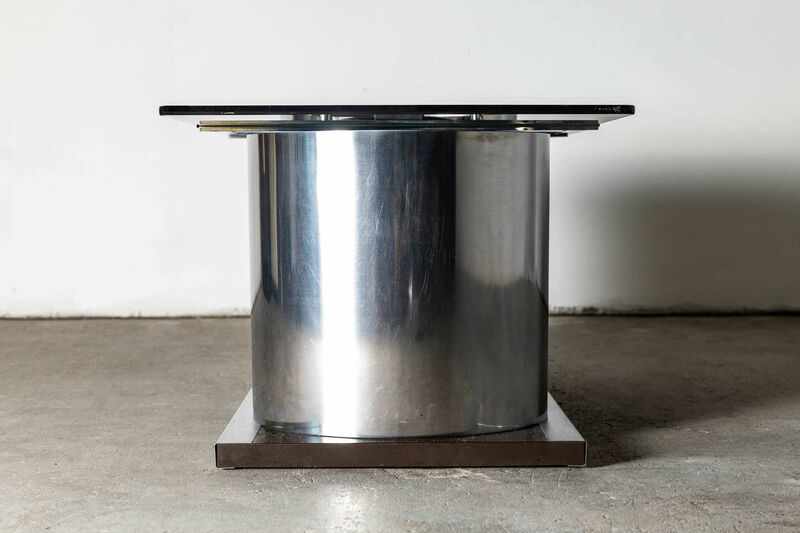 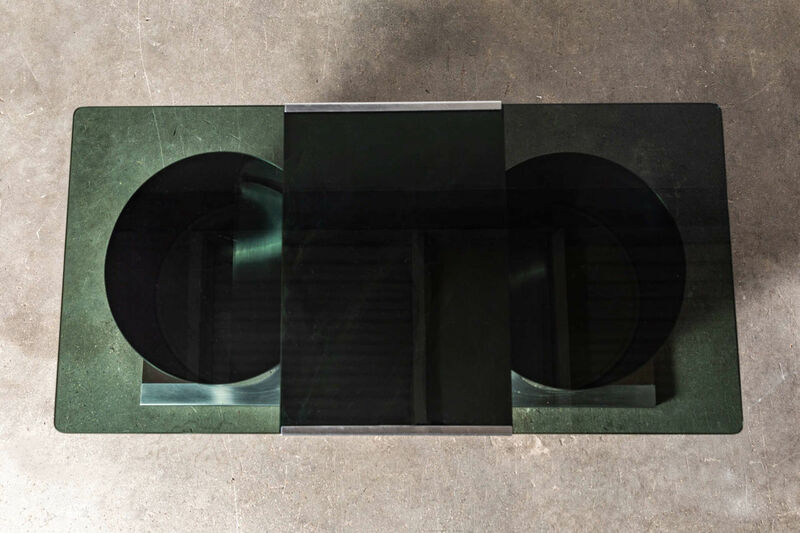 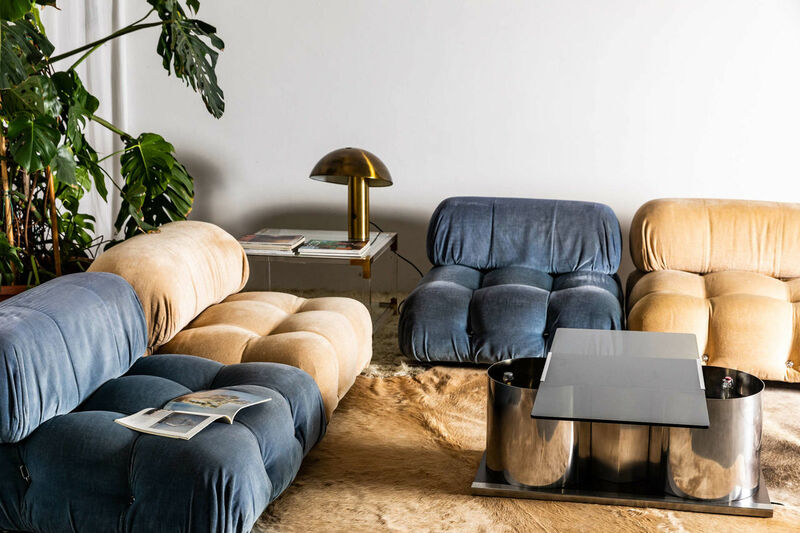 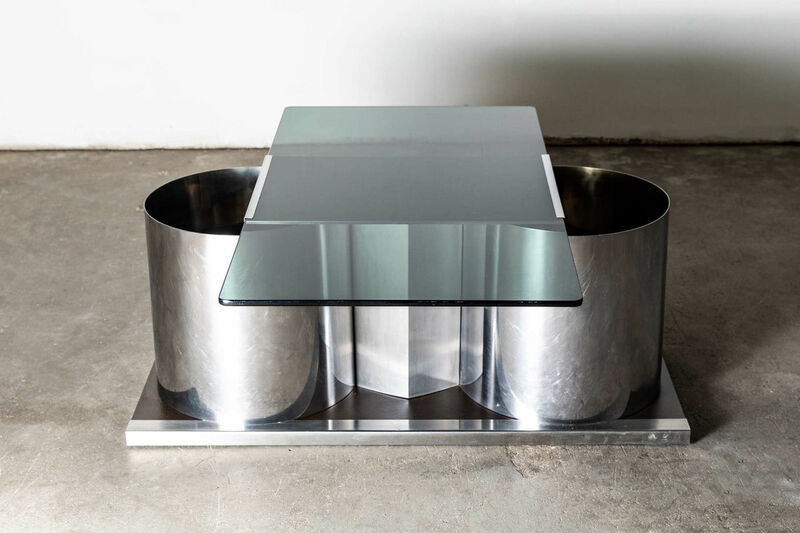 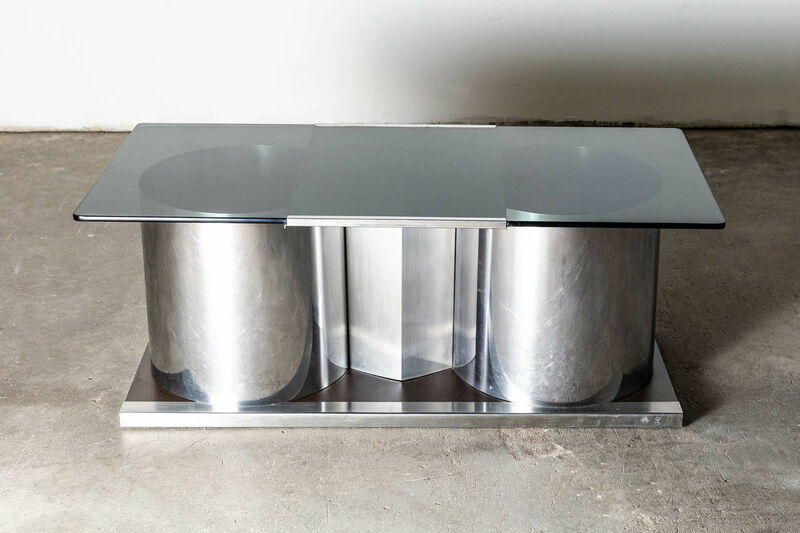 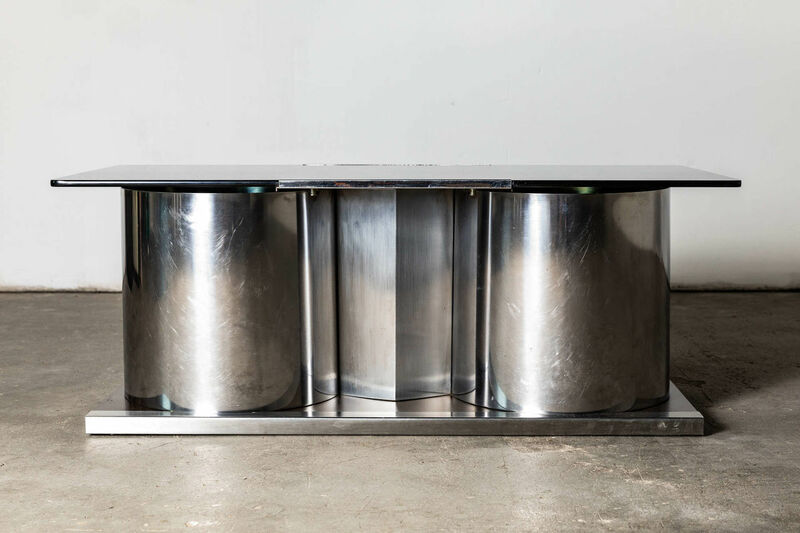 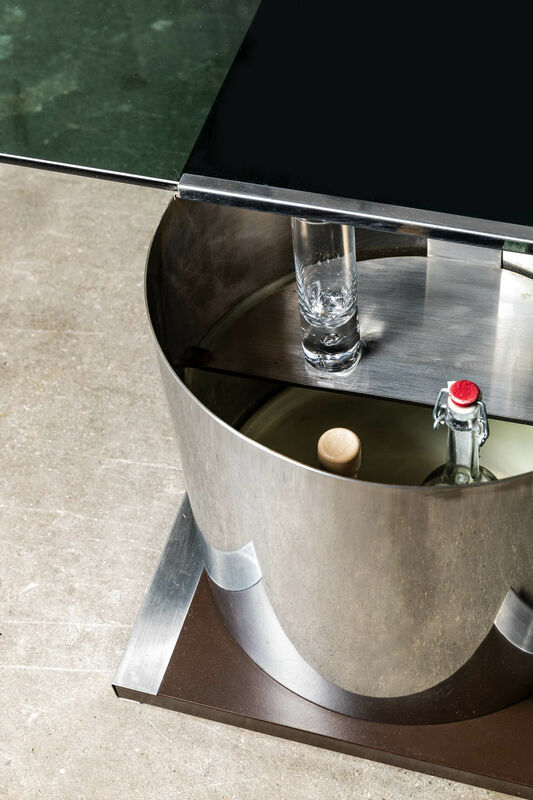 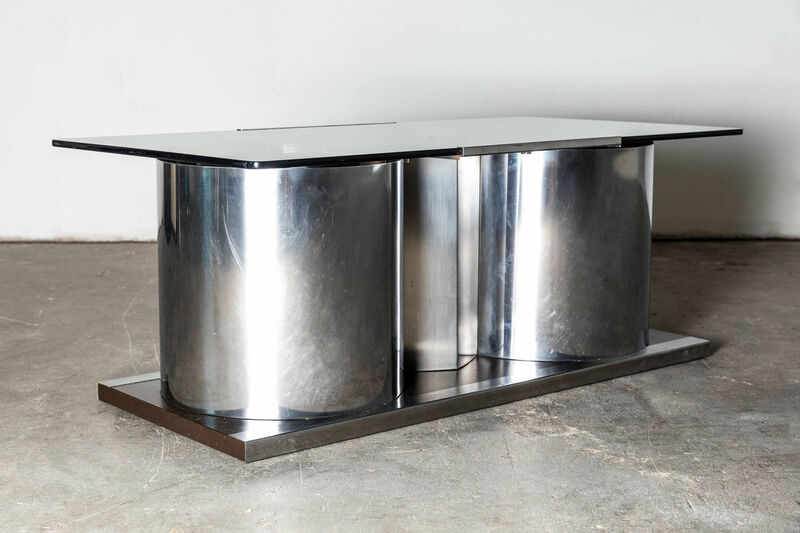 Large Glass & steel coffee table from Acerbis, 1970s | Castorina & Co.
Sculptural chrome coffee table with smoked glass top that swivels to reveal a Dry Bar. 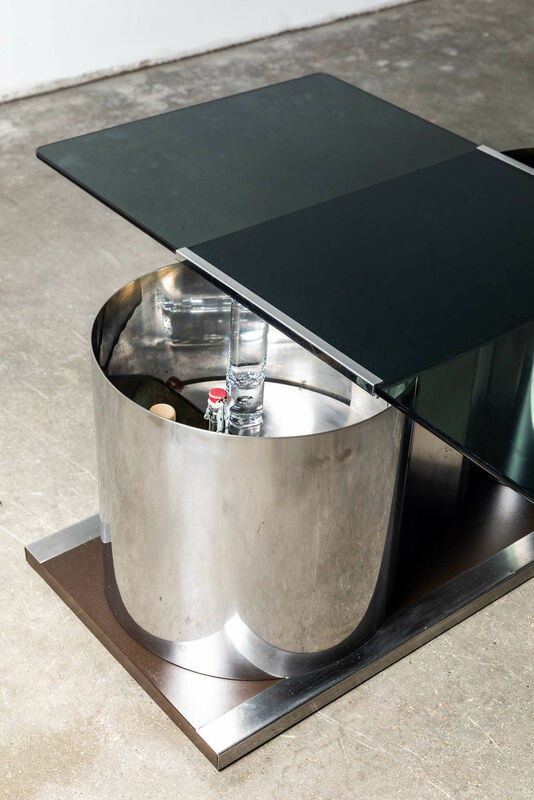 The base is set on a black wood platform which is finished with a chrome edge. 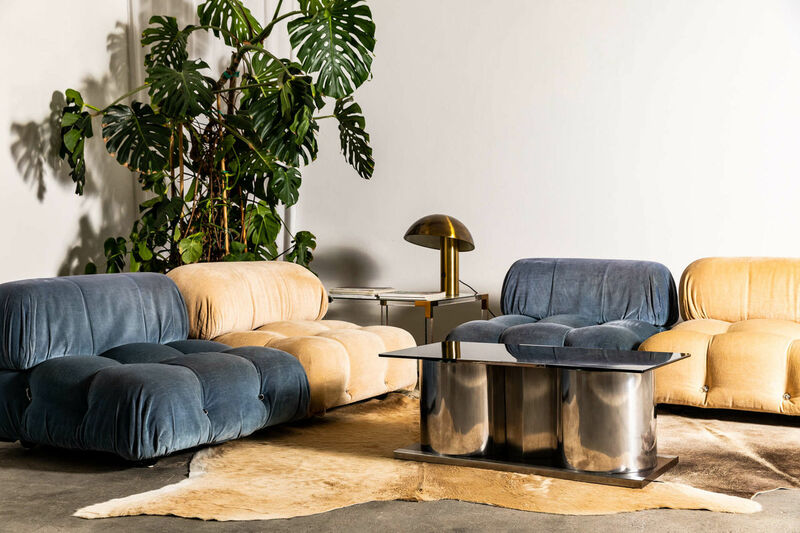 Made by Acerbis, Italy Circa 1970.